Maven Javadoc Plugin uses the Javadoc tool to generate javadocs for the specified project. 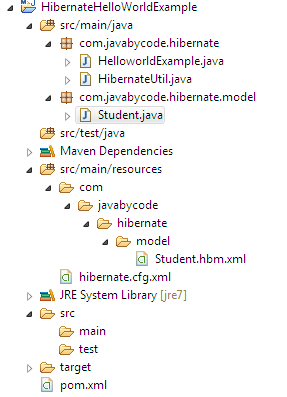 This tutorial show you how to Generate HTML JavaDoc in your build using maven. The Javadoc Plugin gets the parameter values that will be used from the plugin configuration specified in the pom. To hold all javadoc arguments, packages or files, the Javadoc Plugin generates argument files and calls the Javadoc located in $JDK_HOME/bin/ directory. We are using Maven Javadoc Plugin to generate HTML JavaDoc so that we have this plugin in pom.xml file. We create a simple POJO class named Student which be mapped to STUDENT table in database. return "Student [id=" + id + ", name=" + name + ", enteringDate="